Logan Park grew up in Cincinnati, frequently spending summers camping with family. He completed his undergraduate degree in environmental chemistry in Greenville, SC at Furman University while performing US EPA and SC DHEC water quality research. Â While completing undergraduate studies, Logan spent sixteen weeks studying abroad at the Biosphere II Center, then run by Columbia University. After thru-hiking the Appalachian Trail (online trail journal) post-graduation, he finished a Masterâ€™s degree in Natural Resources Planning (recreation management) at The University of Vermont in Burlington, VT; there his thesis focused on testing the effectiveness and acceptability of various anagement practices designed to reduce off-trail travel at an ecologically fragile but popular mountain summit at Acadia National Park. Subsequently Dr. Park accomplished his Ph.D. degree in Forestry (recreation) at Virginia Polytechnic Institute and State University; there his dissertation work involved developing indicators and standards related to soundscapes at Rocky Mountain National Park, defining the underlying mathematics of trail erosion pathology, and backcountry-appropriate methods of reducing off-trail travel in subalpine environs. 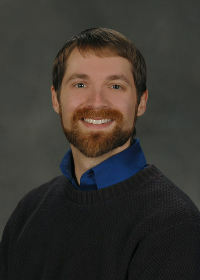 He has since joined the faculty at Southern Illinois University. Read Logan’s Curriculum Vita for more information. Chris is working to develop custom laser and ultrasonic rangefinding instrumentation to test ways to make bicycling in traffic safer for all involved. Makia is working to develop custom laser and ultrasonic rangefinding instrumentation to test ways to make bicycling in traffic safer for all involved.